But Cruz managed to come across as more or less rational—at least as far as politicians who literally want to abolish the Departments of Energy, Education, and Housing and Urban Development could ever be considered rational—and got off a couple decent zings, even referencing Kimmel’s “Mean Tweets” bit, unprompted. But the most telling moment came when Cruz admitted he harbored fantasies of becoming an actor when he was younger. 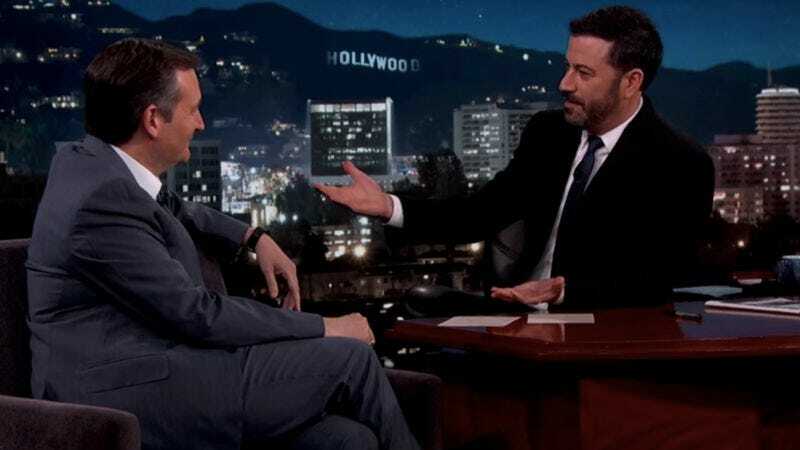 After the requisite slamming of elite Hollywood liberals, he admits, “When I was in high school, I did a lot of shows, and actually though about dropping out of school, and heading to California and trying to be an actor.” Unfortunately, his father seems to have thought that would be a disaster, and Cruz followed his pop’s lead. Little did his father know, by steering his son down the path to politics, he created a far bigger disaster than anyone could have foreseen. Watch the clip below, and ponder how our country might be different had Cruz moved to L.A., started auditioning, and spent the next 20 years handing out head shots during his catering jobs. He might not be any more liked, but he’d probably have a good connection at the Comedy Store.